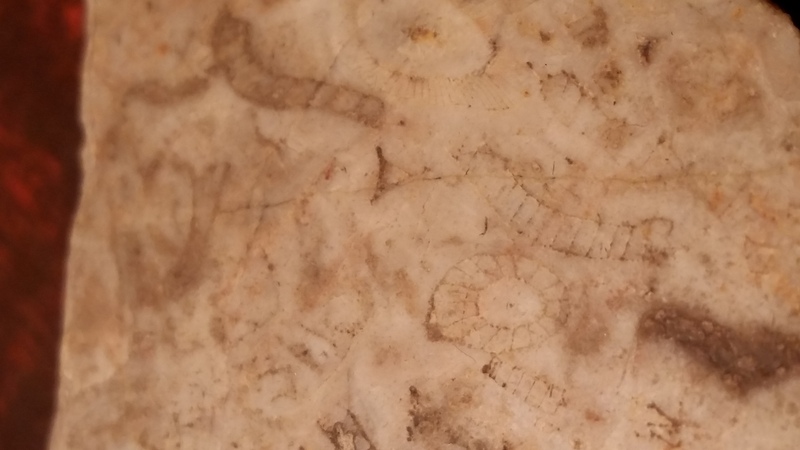 A rangeomorph holdfast trace fossil from the Ediacara formation, Rawnsley quartzite of the Flinders Range, South Australia. This specimen is Medusina mawsoni, so called because it was until recently thought to be a jellyfish, but is now believed to be the attachment point of a fractal rangeomorph as Charniodiscus is the point of anchorage for Charnia sp. This one may have been the holdfast point for some species of Rangea. 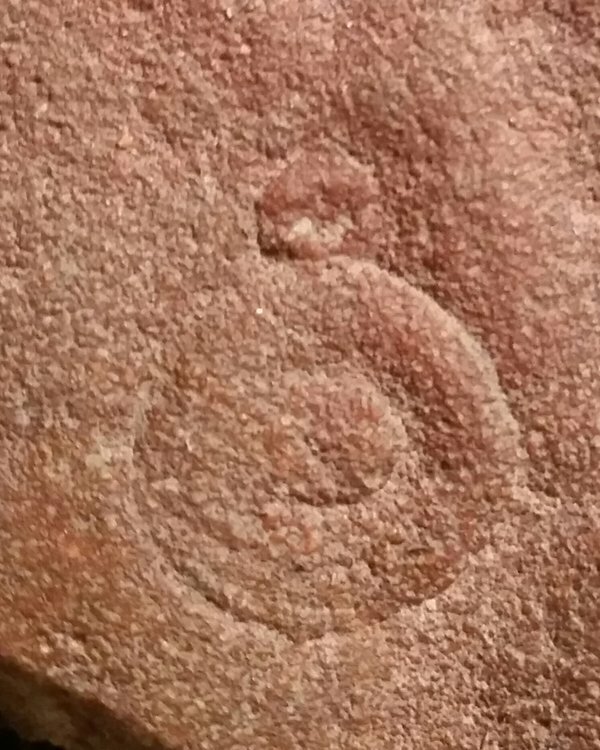 The diameter of the outer circle is 1.5 cm and the fossil is estimated to be 555 million years old. The archaeocyathid Ethmocyathus lineatus from the Ajax limestone, Lower Cambrian, about 515 million years old of the Ajax Mine, Beltane, South Australia. 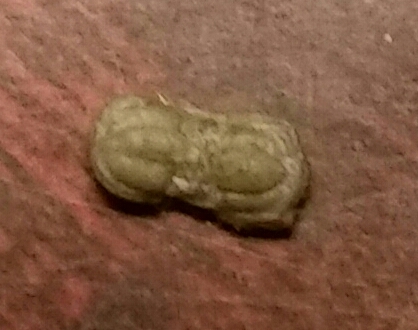 The oval cross section of the best specimen here is about 7 mm at it's maximum diameter and the longitudinal sections are up to 13 mm. 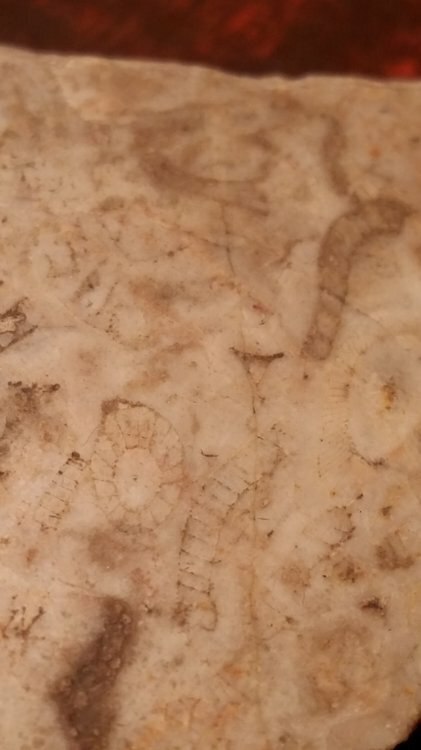 This one came with a label (see next post) and is supposed to be a Cambrian algae from Marjum Farm, Millard County, Utah. But I don't think it is. 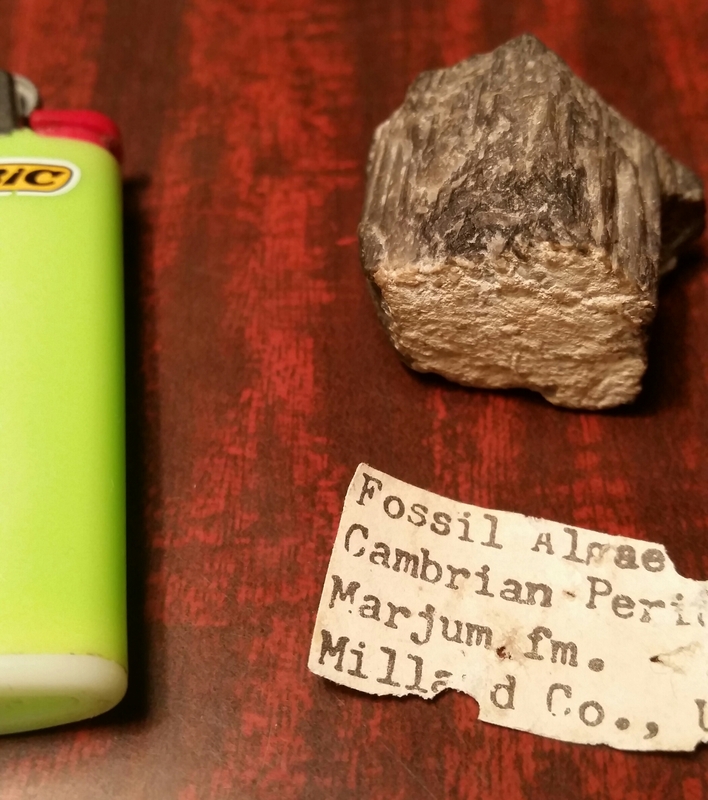 It came in a sort of starter pack of fossils I was sent when i was a child, probably about 40 years ago, all from the USA and the others were correctly labelled. It could just be geologic, doesn't look like any algae or even stromatolites I have seen from the Middle Cambrian or this site, but i'm no expert. Tis a very odd thing. Much like me, really. Just bought these Ellipsocephalus hoffi in Spain. 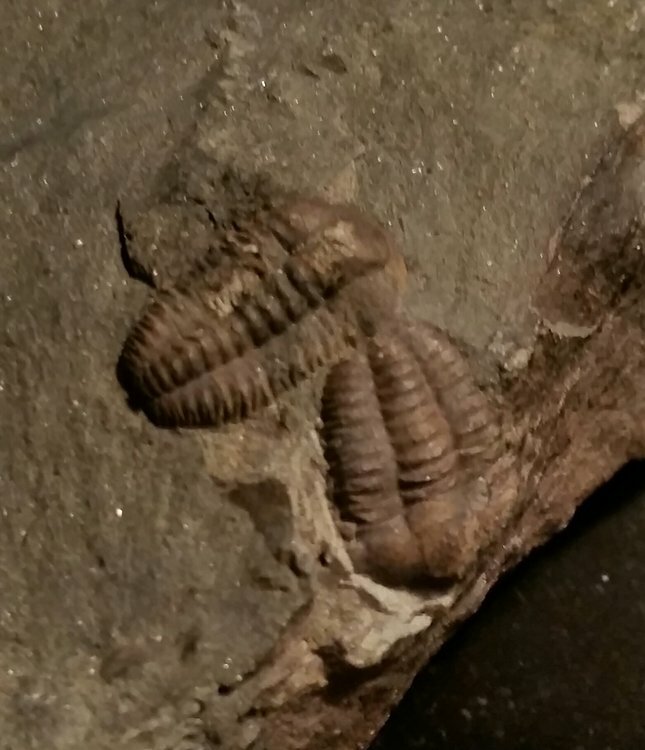 They are from the Jince Formation in the Prague Basin, Czech Republic and are Middle Cambrian in age. I bought this one very cheaply from a Moroccan dealer in Spain. His stuff is genuine as far as i can tell, but this little fellah is so good and was so cheap I was convinced it was a fake. However, after posting it here, the general consensus was that i'd got a bargain, it's mostly authentic with a bit of touching up in places. I'm still not convinced, but it's lovely anyway. There are a couple of cephalons of smaller ones on the reverse. If it is real, it is a Middle Cambrian Ellipsocephalid and I reckon Hamtolenus marocanus is the most likely match. A whole lot of bits of the agnostid Ptychagnostus gibbus, Middle Cambrian. From the Paradoxides Series, Slammestadt, Norway. Nice selection of very old life. Nice selection for sure. 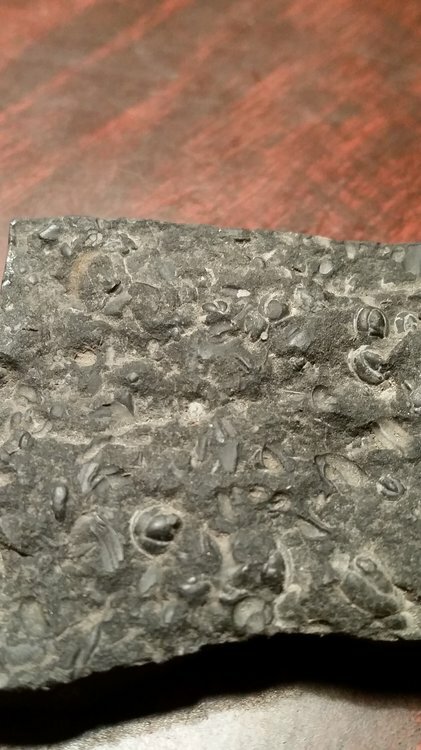 How did you come into that Ediacaran specimen?? 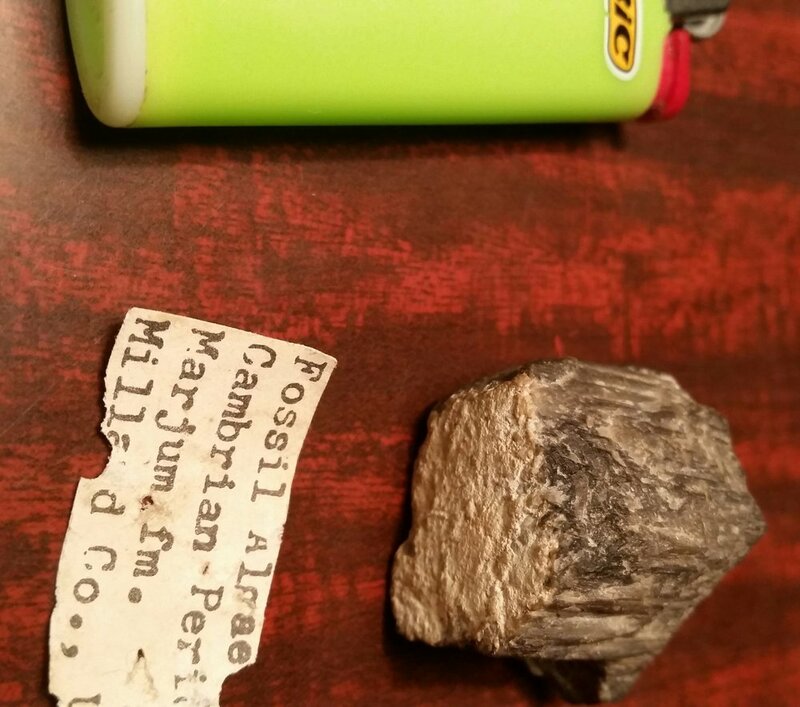 I have a piece of that same 'algae' stuff from Utah, from an old starter/kids collection also. 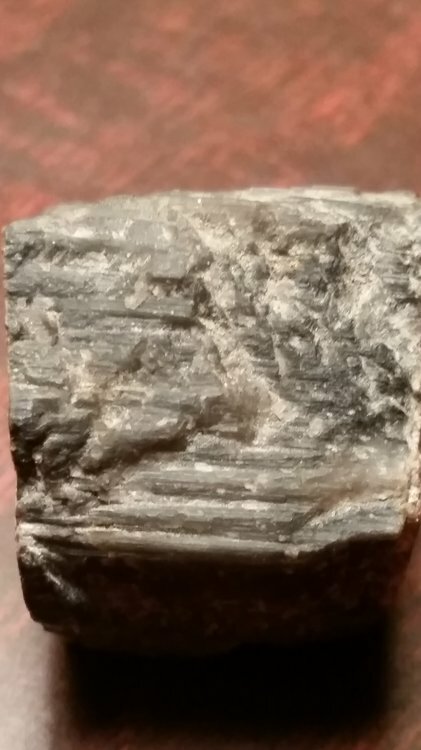 I don't know.. it seems mineral (calcite?). The Cambrian trilobites from Tanglefoot Creek BC often have stuff like that on top or underneath. 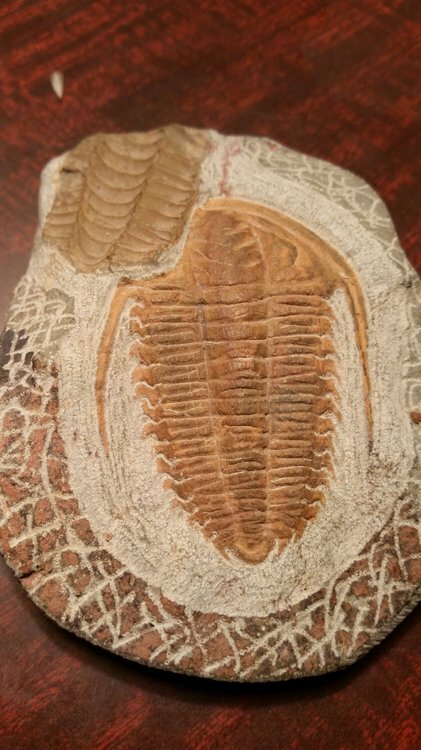 That large trilobite looks sculpted imo. That partial trilo to the side looks like it's real though. It's quite possibly calcite. I must put a little dilute HCl on it and see if it fizzes as a first step. Oh, and I got the Ediacaran thing as a gift about 30 years ago. And the little cephalons on the reverse are real. But I agree with you. Usually I adhere to the maxim, 'If it's too good to be true, it's not true." But I like it as a display piece, was very surprised when it got such a positive response in the Fake Fossil section here. 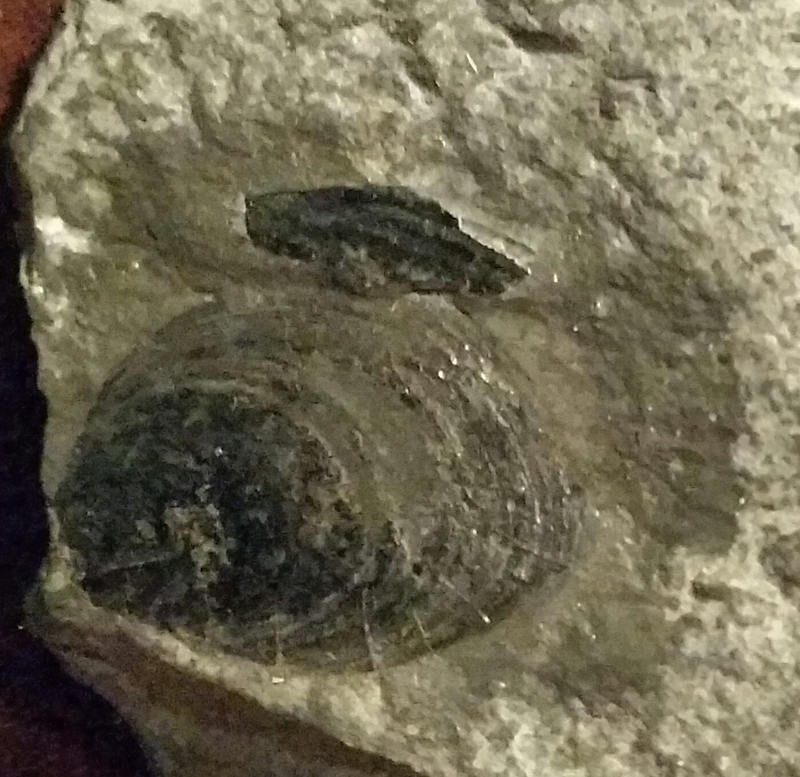 Here is an inarticulate brachiopod, Lingulella davisii from the Upper Cambrian of Wales, near Tremadoc. 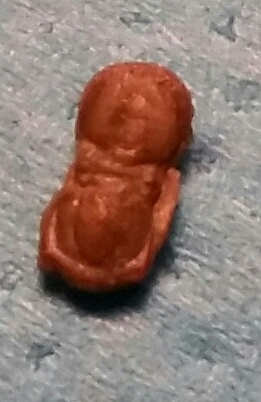 I collected this one myself. I am half-Welsh so many of my early trips collecting were to Wales. 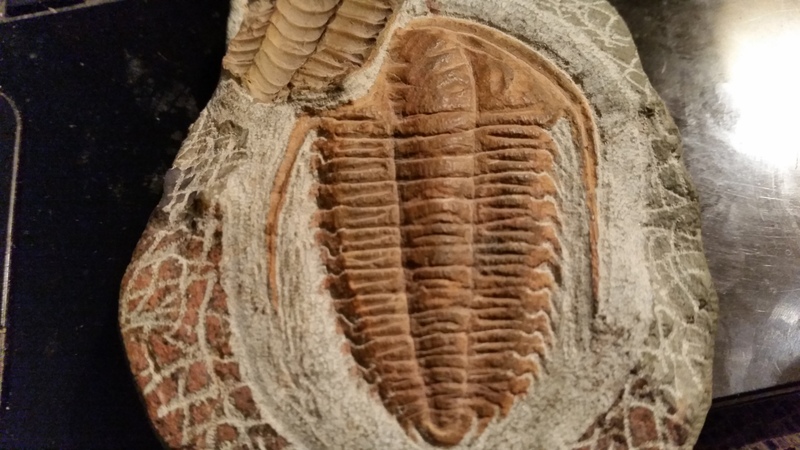 And finally, another trilobite. 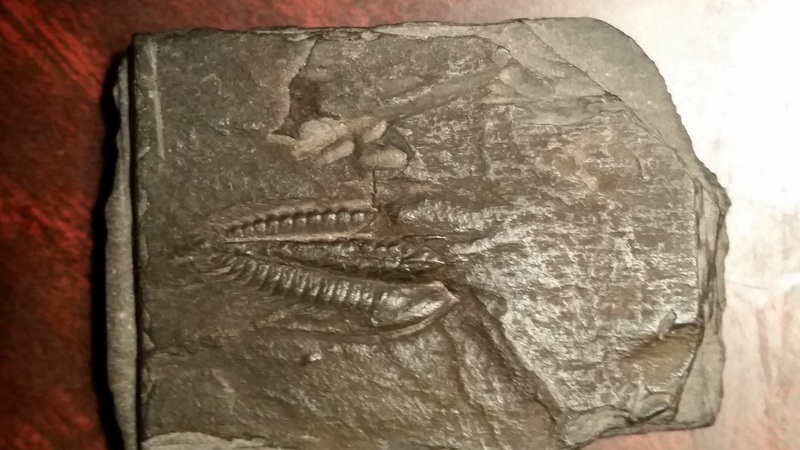 This one's Parabolina spinulosa, Upper Cambrian, Peltura Beds, from the Afon Mawwdach river, near Dolgellau, Wales. I did also have 2 Elrathia kingii, one without free cheeks but free of the matrix and a good size, the other smaller but more complete, but they mysteriously vanished on the trip over to Morocco. A certain auction site beckons! PM Me if You would like some replacement pieces. Lucky you... 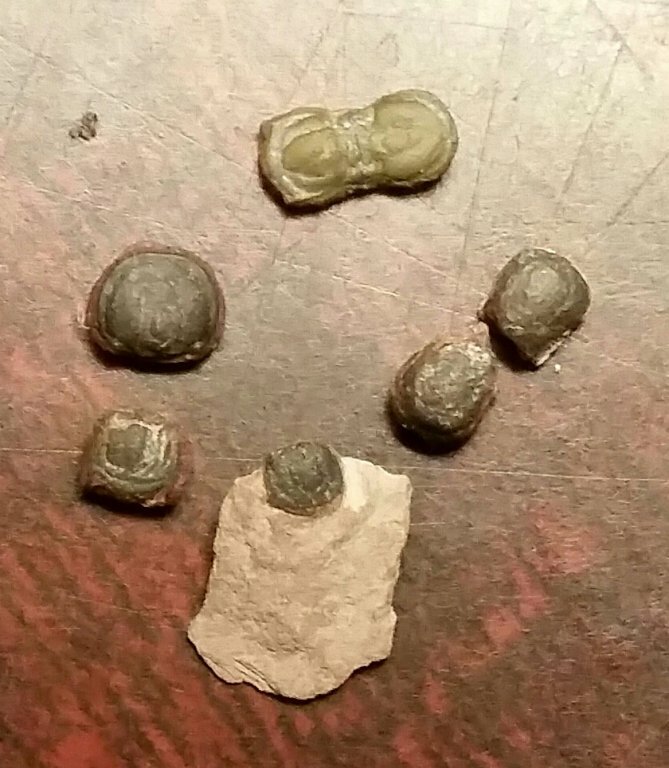 I will consider my collection complete when I acquire a decent Ediacaran like a Dickinsonia from Russia or anything from Australia, but not holding my breath. Lets us know of the results of your acid test. The white bit fizzes and the darker bit doesn't seem to, perhaps a trifle. 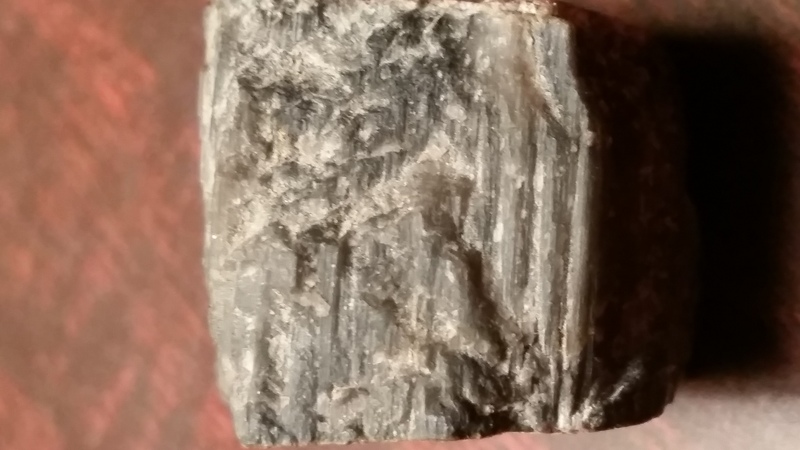 Maybe it's some sort of silica deposit? What a waste of Sarsons. Well, it's taken a while, but i'm finally able to continue with my Cambrian pieces thanks to the generosity of two members of this forum. Firstly, Tony sent me three nice Elrathia which I haven't quite finished prepping but while I was whacking the rocks about with an enormous hammer I found several bits of the agnostid Itagnostus interstrictus, as i think it's called at the present time. 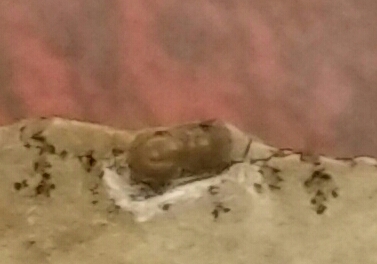 So, here they are, the first one was upside down in the matrix but I popped it and cleaned it up.It is 5.5 mm long. They are the same one, I was just experimenting with lighting. Here it is with the other bits of cephalon and pygidium that i found, not fully prepped when I took this. So, not only did I get replacements for my Elrathia but a new species too! Thank you so much, Tony @ynot, your generosity is much appreciated. Glad You found some additional bugs in that rock.